To monitor MongoDB you can use many tools, some like MongoDB Management Service (MMS) are cloud based, some like Munin might be installed locally. 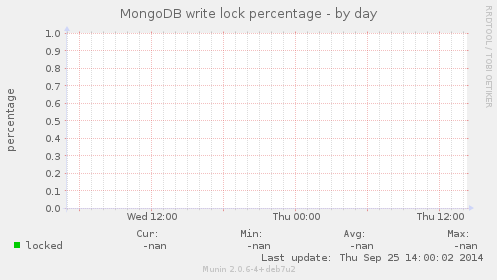 Today we will focus on setting up Munin to monitor MongoDB. This is not a tutorial on how to install Munin itself. I assume that from this point, you have Munin and Munin-node running on your system and that you see basic Munin stats charts. MongoDB provides a simple http interface listing information of interest to administrators. This interface may be accessed at the port with a numeric value 1000 more than the configured mongod port. The default port for the http interface is 28017 (description copy-pasted from here). 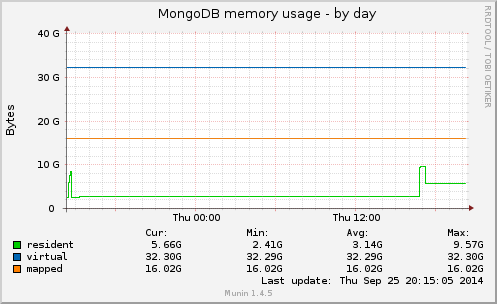 By default it is not enabled but it is required by Munin MongoDB plugins, so we need to turn it on. Warning! Keep in mind, that if you don’t block it, it will listed on your public interface and it will be accessible by default from internet. Please use iptables to make it work only from localhost. # Enable the HTTP interface (Defaults to port 28017). [ ok ] Restarting database: mongod. After restarting munin-node and waiting few minutes, we should have a new section in your munin web ui (mongodb). Part of the graphs won’t display any data, but you should at least see the mongodb section. Some of the plugins (like mongo_lock) won’t work without a little tuneup. If you see graphs similar to this (without any data and -nan everywhere), then most likely those plugins aren’t working. They aren’t working because the MongoDB HTTP interface response slightly differs from what it used to be when the plugins were developed. After that (and few minutes) all of the stats should be working.